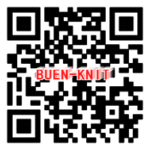 In weft knitting, the yarn feed position is fixed in relation to the cam system. 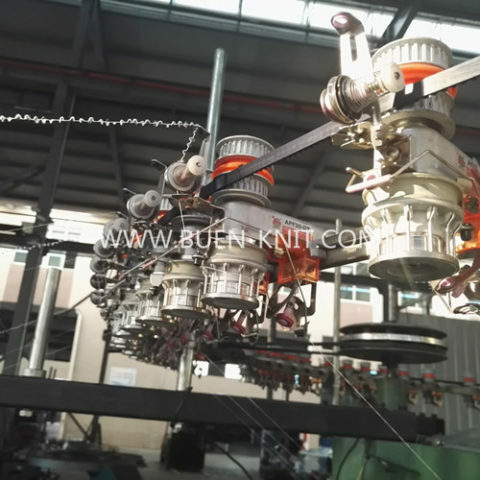 The yarn feed moves with or remains stationary with the cam system, as do the yarn package and tackle. 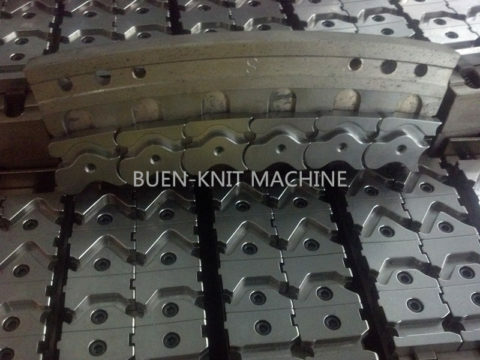 Circular knitting machine cams are attached , either individually or in unit form, to a cam-plate and, depending upon machine design, are fixed, exchangeable or adjustable. 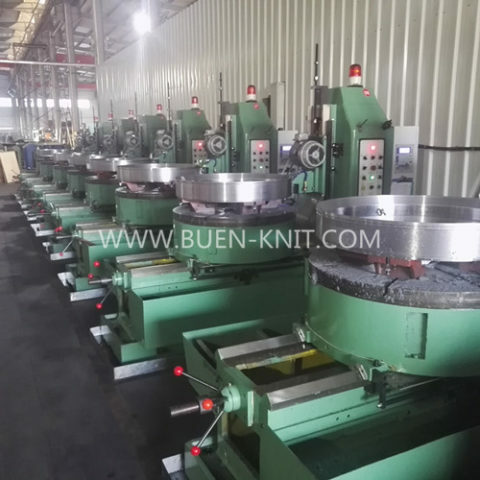 At each yarn feed position there is a set of cams consisting of at least a raising cam, a stitch cam and an upthrow cam, whose combined effect is to cause a needle to carry out a knitting cycle if required. 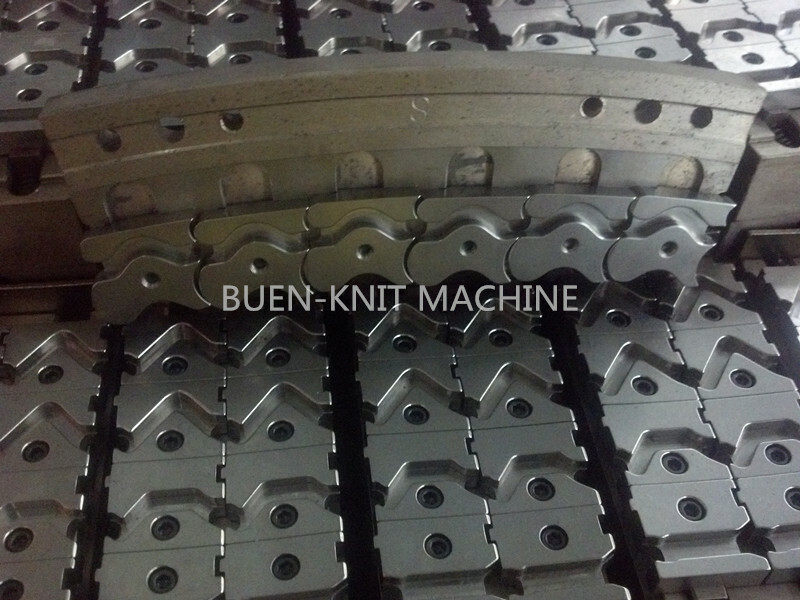 On circular knitting machinesthere is a removable cam section or door so that knitting elements can be replaced.